That’s a trick question. I know that most of us are far too busy. And anyway, how would you know where to start? This is why I was honoured and delighted to be invited on a recent technology mission that made that dream come true. 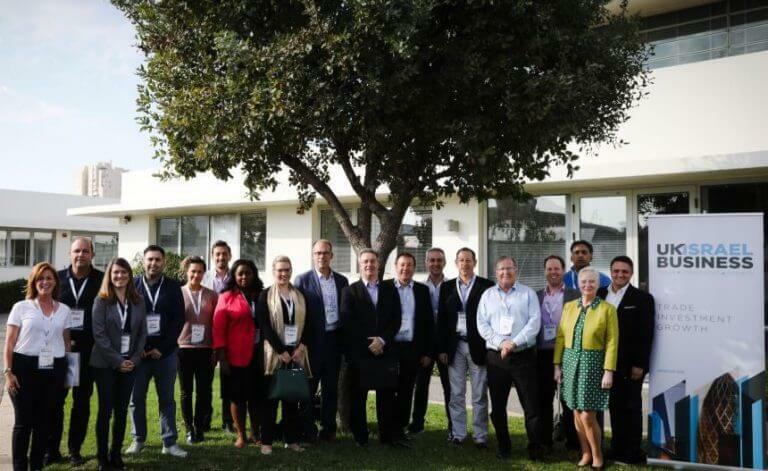 Last week, I joined executives from MasterCard, British Airways owner IAG, and Citibank on a trip to Israel to meet some of the entrepreneurs building outstanding businesses there. The two and a half day trip started in Jerusalem and ended in Tel Aviv. It was a whirlwind tour, organised by UK Israel Business, packed with meetings and seminars designed to foster new trade links and show off the nation’s top talent. I must have met about 30 brilliant entrepreneurs over the course of the mission. I can honestly say it was one of the most inspirational things I’ve done in my life. I’d like to tell you all a little about the people I met and the incredible ventures that I discovered on this journey. I hope that you too will feel inspired – and perhaps pack that bag and go in search of your own inspiration too. 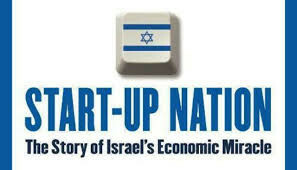 Israel is an extraordinary startup ecosystem. With a population of just 8.7m, the nation achieves twice the level of startup investment than any other country in the world. The unique Israeli Defence Forces (IDF) model means that conscripts are trained in all kinds of skills that help spur innovation. Professor Eugene Kandel, chief executive of Startup Nation Central, explained to me that IDF also has an unusual approach to military training. People are encouraged to question the status quo and make suggestions. No one salutes his or her superiors in the Israeli army, so it’s a hugely different culture. Crucially, soldiers are encouraged to develop their innovations once they leave the army, which helps explain why between 1,100 and 1,380 startups are established in Israel each year. 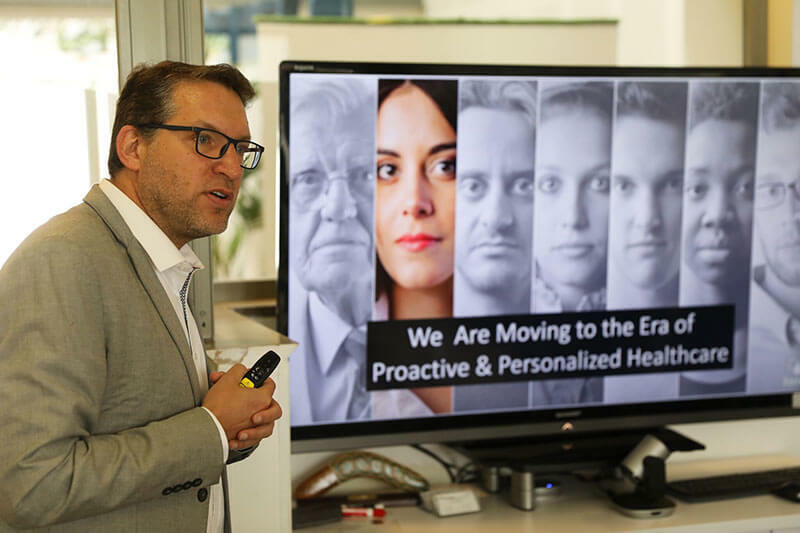 Dr Yossi Bahagon is the man behind Qure Ventures, a venture capital vehicle that aims to back the start-ups that will revolutionise healthcare. He told me about one new company, which will help make virtual doctor’s appointments even more useful. It has invented a medical device that doubles as a stethoscope and thermometer. In future, you’ll be able to send your readings straight back to the doctor, over Skype, in real-time, to get a precise diagnosis. Imagine how much time and money that could save our NHS? Then there was Ziv Aviram, whose hi-tech glasses are about to significantly improve the lives of the blind and visually impaired people across the world. The glasses can sense colour and describe the outside world to the user – they can even read a newspaper. 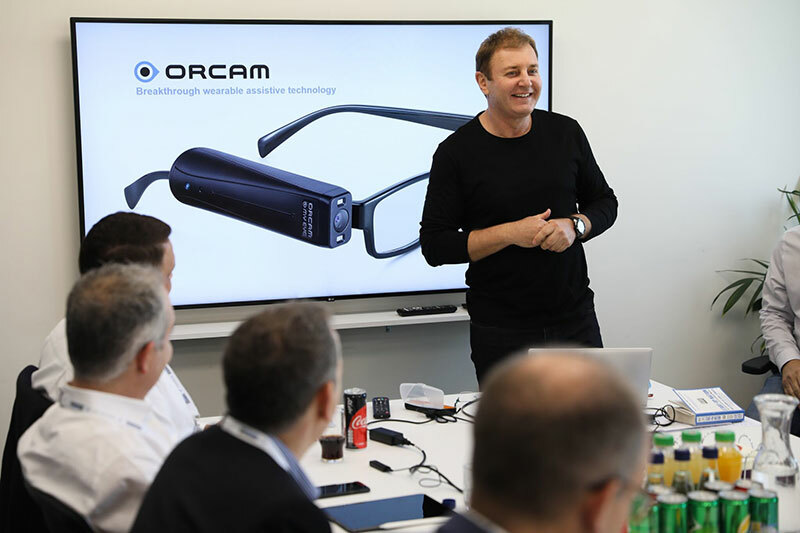 Orcam Technologies is Aviram’s second venture; he sold his first, Mobileye, to Intel for $15.3bn. Nothing saddens me more than the ongoing clashes between Israel and the Palestinian people, which is why I think the work of venture capital firm Sadara founded by an Israeli Jew and Arab Palestinian is so important to publicise. 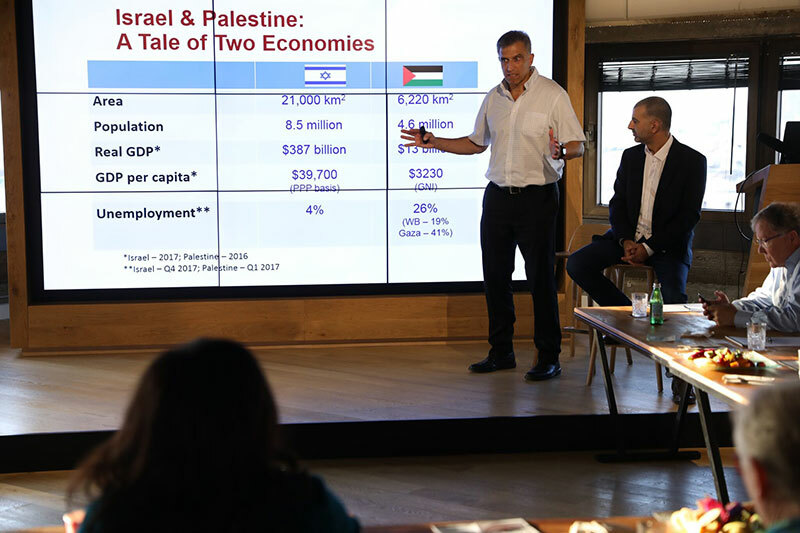 It’s a $30m fund that invests solely into Palestinian tech companies, helping to combat unemployment – in the West Bank & Gaza – and building links between the two. It has already made six investments and is backed by the likes of Google, George Soros and Cisco. This was an important reminder of the role business can play in international relations and helping to make the world a better place. As an entrepreneur, you only know your own business and your sector. This was a rare opportunity to step outside my comfort zone and see what brilliant innovations are out there. If you can, talk to embassies, trade bodies and start-up organisations and see if you too can take part in a delegation like this one. I promise you won’t regret it.